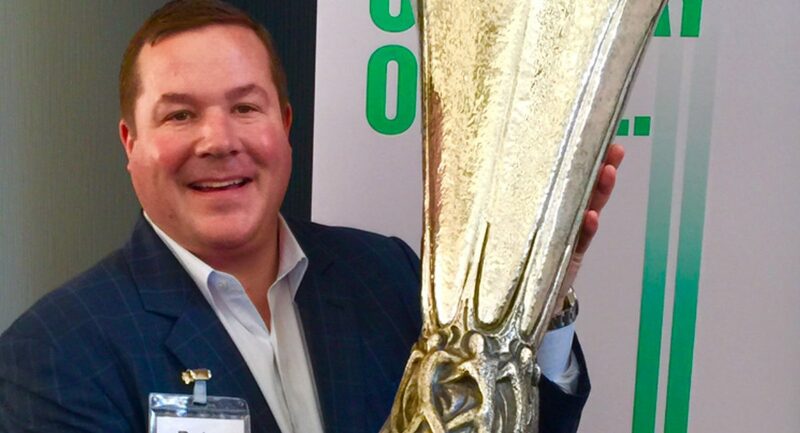 In our ongoing series of “Five Question” blogs, we recently sat down with Pete D., Corporate Vice President of European Business Development, to chat about his career journey at Enterprise, discuss his new role and gather his general thoughts about leadership. For me, it all started in January 1996. I began my career with Enterprise as a Management Trainee right out of college in Newtown, Massachusetts, and it’s been an exciting ride ever since. I became Branch Manager within my first year and continued to take on expanding roles including Area Manager, Group Marketing Manager in Car Sales and Director of Business Rental – all in an effort to grow and develop as a leader. I left my hometown in Boston and moved to Arizona as Group Vice President in 2010. From there, I ventured overseas to Germany as Corporate Vice President to develop a strategy for growth to support both international and domestic rental demands. This year, I moved from Germany to St. Louis to embark on my latest career opportunity as Corporate Vice President, Europe & EMEA Business Development, reporting directly to President and CEO Pam Nicholson. I have to say that every role I’ve ever had and every relocation move I’ve ever made has been a building block in my career. 2. Can you shed some light on your new role and explain what you’re focused on this fiscal year? The Enterprise brand in Europe is booming and it represents tremendous opportunity. Today, Enterprise Rent-A-Car is in nearly 40 European nations and we have the National and Alamo brands. My job is to act like a consultant between our internal team and franchise network in bringing our long-term European strategy to life. With three brands operating under one global company, a key focus is to ensure that we have the right growth strategy in place that delivers a consistent customer and brand experience across Europe. 3. What are your thoughts on leadership and what advice would you give to new managers? I have a few mottos that I’m known for saying quite regularly that have helped shape who I am today: Compete every day. One team, one dream. Impossible is nothing. I often say “yeah, buddy!” for anything positive. I believe in finding the positive in any situation and continuing to move forward to win or accomplish a goal. My view is that leadership is not a position – it’s an attitude. Regardless of your role or level, we are all leaders. It’s about getting out of your comfort zone and taking risks to try new things. And more importantly, it’s about being a role model and helping others in their development. 4. What are your proudest achievements to date? My proudest professional achievement: When an employee who I had the honor to work with gets promoted. There is no better day than when one of your best team members gets an opportunity they have worked hard to achieve. 5. What is something that people may not know about you? I love team sports and played ice hockey growing up. The sense of team spirit and working together to achieve a common goal has definitely followed me in my professional life. I also firmly believe in giving back to your community and helping those less fortunate. Outside of work, I am actively involved with the Boys and Girls Club of St. Louis. It’s a way for me to connect with young kids and help them realize their full potential.